I’ve been a bit slack with blogging recently. I have been running, although I’m not working to any specific training plan so I’ve just been going as far and as fast as I feel like (which is not very, as it happens). 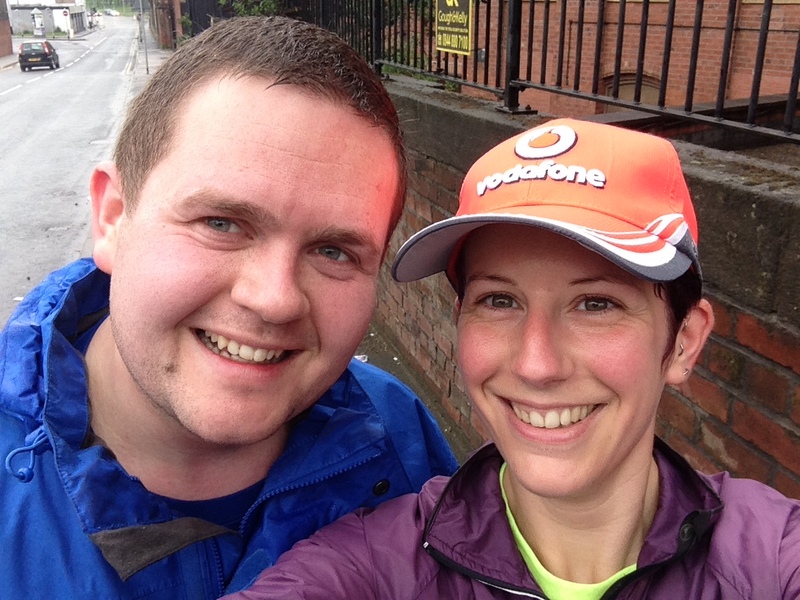 I should be doing some work towards my next half marathon – Chester on May 18th – as it’s only a few weeks away. I’ve got some speedwork and interval sessions in mind, and I’ll be giving it my all for a sub-2:00 on the day, so I best crack on! For now, just to prove that I am still here and still running (and still loving it), a few photo highlights from the past week or so. I love cherry blossoms. I like to wear cherry blossoms in my hair when they arrive. 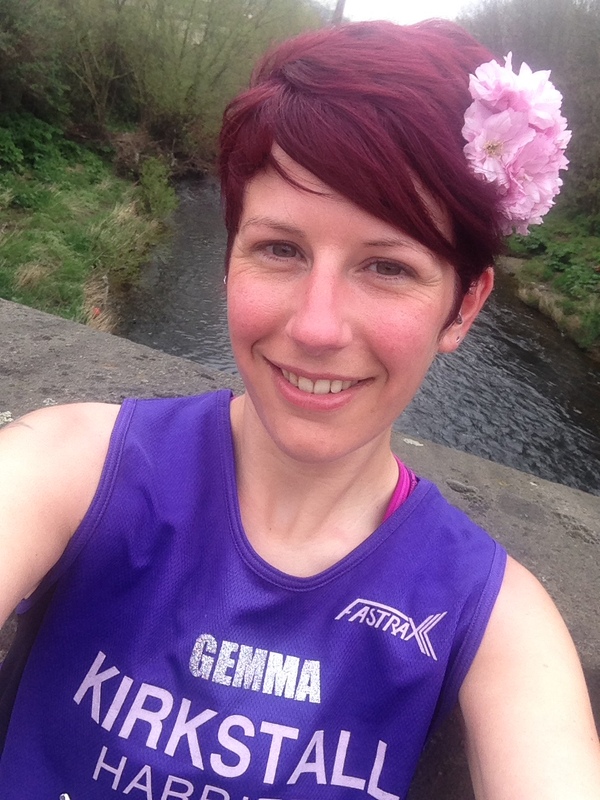 This was after Leeds parkrun on April 19th, the day I wanted to run forever. 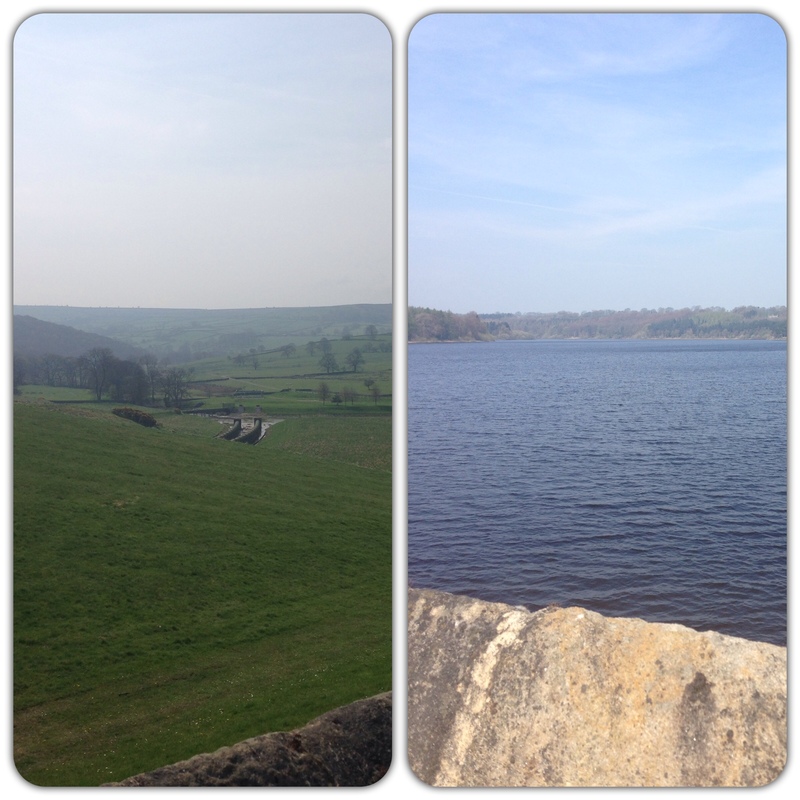 Views at Swinsty/Fewston reservoirs where I had a wonderful Bank Holiday Monday run with my good friends Jill and Laura. It was incredibly therapeutic – we had some deep and meaningful conversations, but we also swore and laughed a lot. This is my friend Stevie (Helen’s boyfriend). He runs regularly but doesn’t race or do parkruns, so I’ve been nagging him to give them a go. I finally got him to come to Leeds parkrun on April 26th, and I think he enjoyed it! It was a bit drizzly but we had good chats. As this is Eating Disorders Awareness Week I thought I would take a minute to reflect on and share my own experience. I have done this before in a difficult, but necessary, post on eating and food, so today is just a brief note on where I’m at now and how I feel about it. The number on the bathroom scales does not trouble me like it used to. It has become a bigger number in recent months, but that’s OK, because that’s just how my body needs to be to do the things I ask of it. I know my body is stronger, fitter, healthier and sexier than ever before, because I feel it. I make informed, rational, and sometimes poor, decisions about what I eat and don’t eat. Disordered habits do not control me, although they are still there at times. So there you go. As with all the mental health issues I have encountered during my lifetime I don’t expect I will ever be able to say I am fully recovered with no chance of relapse, but I am doing well. Very bloody well. For information, advice and support on eating disorders, please do get in touch with beat. I am woman; see me run. An article in the Telegraph today from an interview with Helen Grant, Tory MP and sport and equalities minister, has sparked some debate. It suggests she is encouraging women to take up sports that allow them to retain their feminine charms, such as cheerleading and ballet. The feeling of the article is that women don’t take up sports because they don’t want to lose their femininity. Miss Grant’s helpful suggestion is that they can wear sparkly socks while rollerblading (preferably while they’re on their period too, one imagines). She says via her Twitter account that her comments were taken “completely out of context” and that she was “making the point that there is a sport or type of physical activity out there for all women”. I don’t run to feel feminine. I certainly don’t run to look feminine. I sweat, I go bright red, I huff and puff. I pee in a bush if I get caught short, I constantly have to pull my knickers out of oblivion, I wipe my nose on my gloves. But I challenge you to find a stronger, more confident, determined and capable woman than me at the finish line of a race. I am all woman, and the sports I enjoy neither preclude nor promote that. I simply run because I like to run, and it doesn’t matter how I look, because I feel great. Today is Time to Talk day, an initiative launched by Time to Change to encourage and support people to talk about their mental health. Up and down the country there are all sorts of things going on today and through the weekend, from roadshows in shopping centres to groups of friends getting together for a brew and a natter. I had hoped to join in one of the organised events in Leeds, but time and other commitments have conspired against me. So instead I am playing my small part by writing this brief blog and calling on anyone who reads it to get in touch. And that’s about it really – come talk to me. About anything. I will listen. Because I know this is a hugely important part of life – talking, and knowing that you are being listened to. In my own mental health experiences there have been occasions where I have not felt that I was being taken seriously or even that what I was saying was being heard. One example that sticks in my mind is a doctor who told me to ‘get on with it’ because he wanted to go home. The rest of that story is very long, but needless to say his attitude did nothing to help, encourage or support me to get better. It was simply awful. I was at my lowest ever point and there I was feeling like a paid professional who was supposed to be there to help me did not even have the time, the compassion or the basic good nature to listen. I have lived through my experiences of all sorts of mental health issues and, so far, I keep coming out the other side. The days when I talk to people about things are the days when I feel most positive. Let’s talk. It’s time we both stopped running away.